8. Where's Thanos In All Of This? Thanos was front and centre of the marketing for Avengers: Infinity War. It was his film, and in the end, he achieved his goal of wiping out half the known universe. 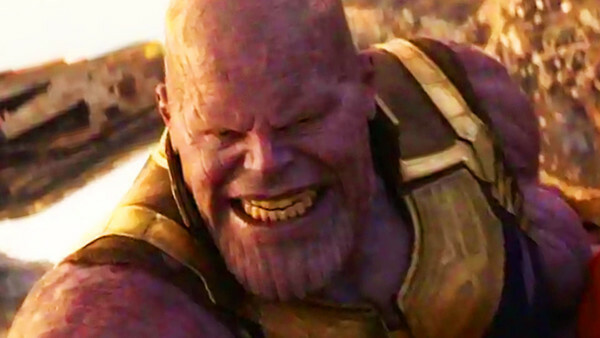 That's a stark contrast to Endgame, where we've had ONE shot of the Mad Titan and nothing more. It's almost like they don't want you to focus on the fact he's in this film, and yet, for all the rumours of other, bigger threats, he's still going to be the major villain. They either have to defeat Thanos or get him to reverse the decision himself, so he has to be a key player in all of this, yet we're not given any real indication as to his role in things by the trailers (and that's not a complaint by any means).